If you're inspired by labels such as Traum, Manual Music, Outside The Box, *Back Home, Flow Vinyl, Wide Angle, Paradigma Music, Origami Sound and artists like Ryan Davis, Ricardo Tobar, Dual Shaman, Max Cooper, Jesse Somfay, Dibby Dougherty then this sample pack is definitely in your ball park. 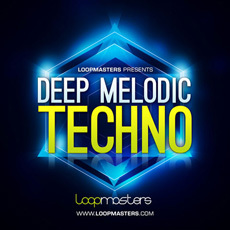 Deep Melodic Techno includes a full spectrum of inspirational sounds including Bass, Drums, Synths, Top Loops, Chords, and FX - and is inspired by some of the very best music currently storming through the Beatport charts. It includes 340 24Bit samples, including 36 Techno Bass Loops, 96 Music Loops, 31 Top Loops, 30 Bass Tones, 50 Chord Hits, plus 97 One Shot Drum Samples and 57 MIDI Files. Inspired Atmospheric Melodic Riffs, Deep Synth Chords, Angular Percussive Tones, Glitched Vocals, Analogue Sparkles, Distorted SFX, Off Beat Arpeggiations, Space Chords, and a huge selection of One shots - make Deep Melodic Techno a unique choice for inspired Techno Producers Worldwide!